Was Rey Negligent in Causing a Boulder to Crash on the Caretakers’ Cart? Rey did not ingratiate herself to the Lanai Caretakers during her time on Ahch-To. First Rey shot out a wall during a Force vision with Kylo Ren and then caused a large rock to crash on a Caretaker’s cart. 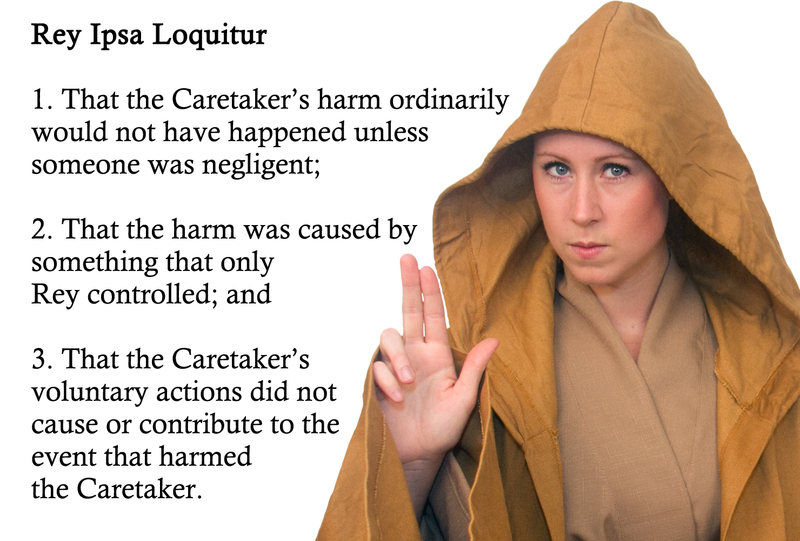 Did Rey’s actions constitute negligence in the destruction of the Caretaker’s cart? Negligence is the failure to use reasonable care to prevent harm to oneself or to others. Rey first engaged in aerobic staff/rock workout, followed by Samurai lightsaber exercises. While this workout could both sharpen one’s skills with a laser sword, a person is negligent if they do something that a reasonably careful person would not do in the same situation or fails to do something that a reasonably careful person would do in the same situation. See, 1-400 CACI 401 (2017). 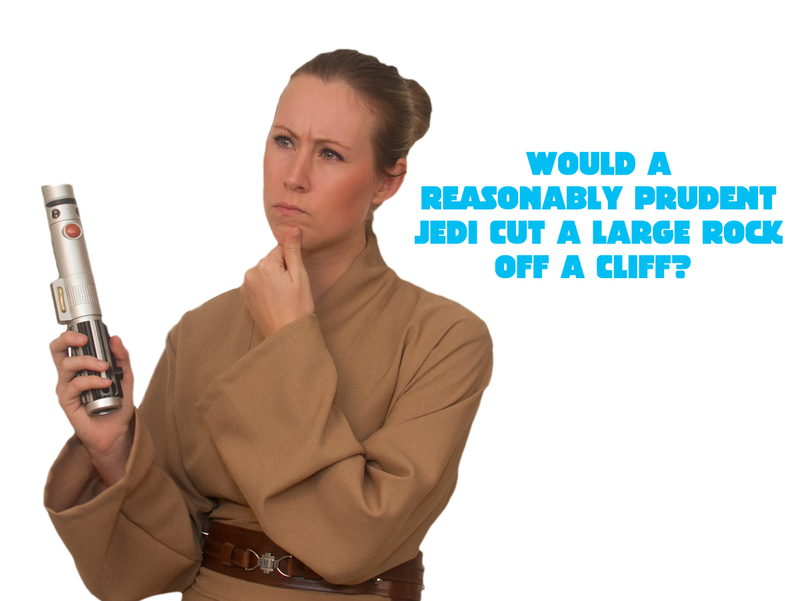 The act of cutting a rock off the edge of a cliff above a trail arguably is not how a reasonably careful Jedi would have acted in Rey’s situation. However, was there a foreseeable risk that a falling rock could crush someone passing by below? Rey could have had a duty to not engage in lightsaber cutting exercises if there was foreseeable risk that she could cut the rock off the face of the cliff, causing it to crash on others. The law states that foreseeability is not enough to create an independent tort duty. “… [The] existence [of a duty] depends upon the foreseeability of the risk and a weighing of policy considerations for and against imposition of liability.” Vasilenko v. Grace Family Church, 3 Cal. 5th 1077, 1086-87, (2017), citing (Erlich v. Menezes 21 Cal.4th 543, 552 (1999). These policy considerations include whether “the moral blame attached to the defendant’s conduct, the policy of preventing future harm, the extent of the burden to the defendant and consequences to the community of imposing a duty to exercise care with resulting liability for breach, and the availability, cost, and prevalence of insurance for the risk involved.” Vasilenko, at *1086 citing Cabral v. Ralphs Grocery Co., 51 Cal. 4th 764, 781 (2011). “A duty of care will not be held to exist even as to foreseeable injuries … where the social utility of the activity concerned is so great, and avoidance of the injuries so burdensome to society, as to outweigh the compensatory and cost-internalization values of negligence liability.” Vasilenko, at *1086 -1087, citing Merrill v. Navegar, Inc. 26 Cal.4th 465, 502 (2001). The issue of whether there was foreseeable risk would turn on the likelihood of being able to cut a large rock off of the Ahch-To cliff, causing it to crash below. From a certain point of view, this issue of foreseeability is straight out of Palsgraf v. Long Island Railroad Co., 248 N.Y. 339, 162 N.E. 99 (1928). In Palsgraf, train employees helped a passenger with a package board a moving train with the door closing. The package was dropped. Unknown to the train employees, the package contained fireworks, which exploded. The explosion caused a large scale to fall on the Plaintiff. The Court held that negligence does not exist in the air and that the Plaintiff’s injuries were not the probable consequence of someone boarding a train with a package. 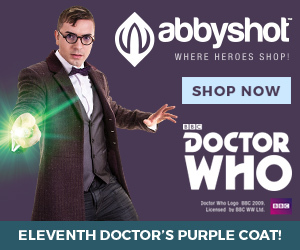 As such, there was no duty to the Plaintiff, an unforeseeable victim. While Benjamin Cardozo did not believe liability followed through the air, Ben Kenobi knew the Force flowed through all living things. Fortunately for the Lanai Caretakers, most jurisdictions have a broader view of foreseeability. Cutting through a rock with a lightsaber is a foreseeable harm, compared to an unknown package with fireworks exploding. The law would attach moral blame to Rey’s conduct of cutting a rock off the face of a cliff. There is a societal policy to prevent giant rocks from crashing on people (or Lanais). Moreover, there is a low burden to exercise a duty of care to prevent such accidents, by simply not cutting giant rocks off of cliffs. Furthermore, “[t]he overall policy of preventing future harm is ordinarily served, in tort law, by imposing the costs of negligent conduct upon those responsible.” T.H. v. Novartis Pharm. Corp., 2017 Cal. LEXIS 9636, at *33 (Dec. 21, 2017), [Ciations omitted]. Establishing Rey acted negligently is the first lesson in determining whether the Caretaker’s could recover. The second lesson is whether Rey was the proximate cause of the destruction of the cart. The third is the Caretakers were foreseeable victims of aerobic lightsaber exercises on the rock. As Rey engaged in an activity that a reasonable prudent person would not do, the Caretakers should recover for the destroyed cart. This would deter future rock cutting conduct that could harm others. 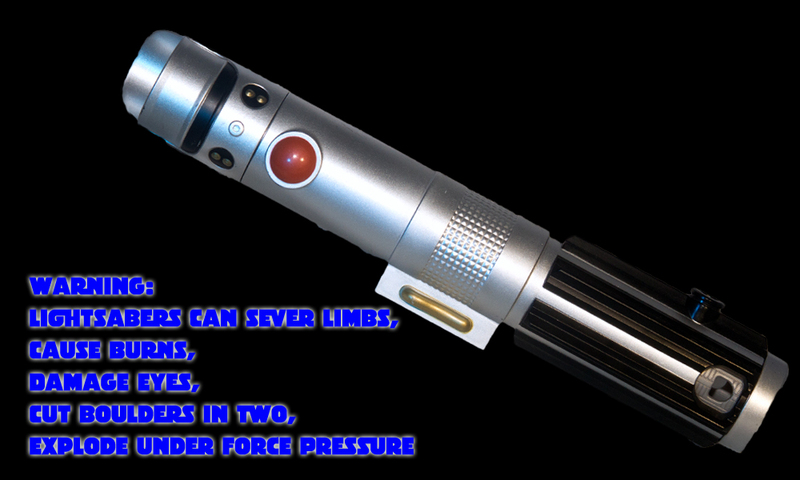 Now, whether lightsabers require a warning they can cut rocks off cliffs is a separate issue.